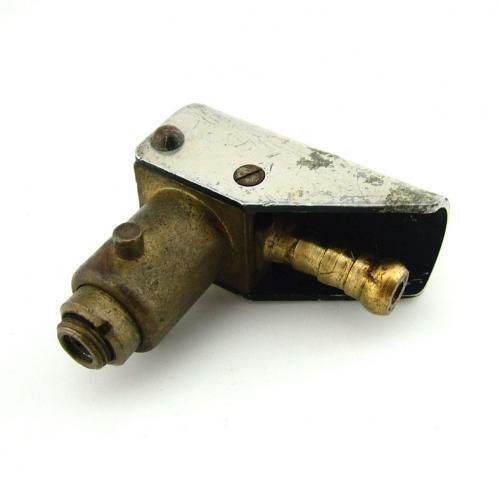 By R & S. Bayonet Union Plug, Mark IIIB. Stores reference 6D/101. Manufactured in brass and alloy. Bayonet connector as fitted to the end of the tubes used with the type D oxygen mask. Also used on the MK.III oxygen tube adaptor hose. The alloy 'cover' section appears to have been 'gilt' washed and much of this has come off leaving a plain alloy finish. In very good condition with clear King's crown Air Ministry mark. Stock code O16580.